The trenches of WWI birthed some of the most brutal combat in recent history. 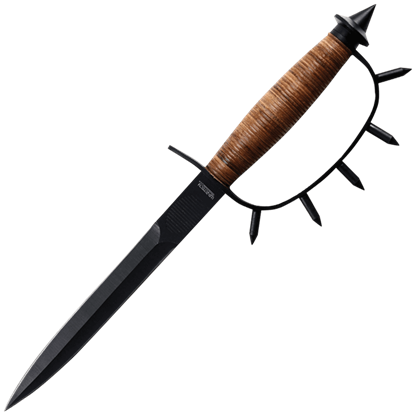 You can now get a small piece of that with the 1918 Trench Knife, which is modeled after the close quarters combat knives of the era. 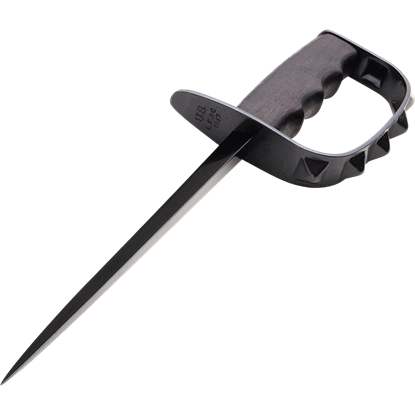 Inspired by the deadly close combat weapons of World War I, the Black Blade Leather Handle Trench Knife is fearsome to behold. The black spear point blade is made of 440 stainless steel, and long spikes protect its knuckle guard. Known for a long time as the Great War, World War I has been one of the most studied and recounted events in world history. 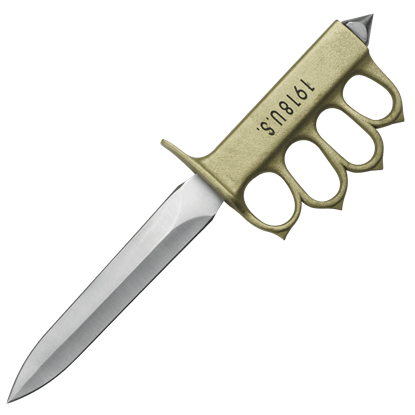 This Black WWI Knuckle Duster Trench Knife is modeled after the close combat weapons from this time period. 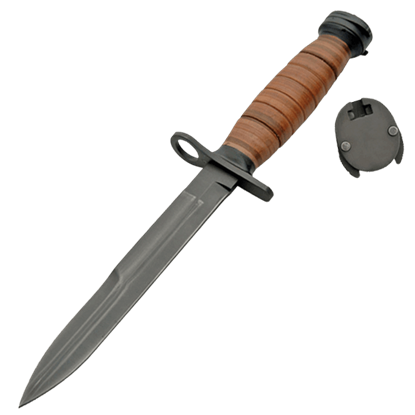 The Blackened M1 Bayonet is a full-size replica of the blade designed to accompany the M1 Rifle, which is one of the most famous rifles in US Military history. As far as looks go, this bayonet is exceptionally hard to beat. Developed during the First World War, the M1918 trench knives were stabbing weapons intended to aid soldiers in close combat situations. 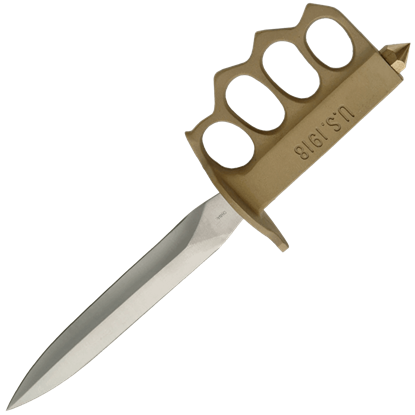 Designed to commemorate these historical weapons is this Brass WWI Knuckle Duster Trench Knife. 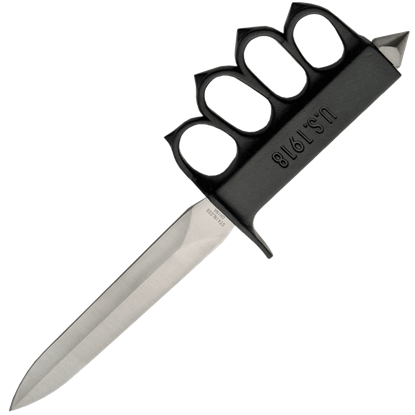 Rugged and uncomplicated, the D-Guard Trench Knife is a 440 stainless steel blade reminiscent of the weapons used in eras past. The spear point knife has a wooden grip and an extended guard that shields the hand of its wielder. This knife was originally made for one thing, and that was to kill. The Fairbairn-Sykes Commando Knife is patterned after the original F-S Fighting Knife that was preferred by both British and American soldiers during World War II. Nothing beats a tried and true knife when it comes to keeping yourself safe. 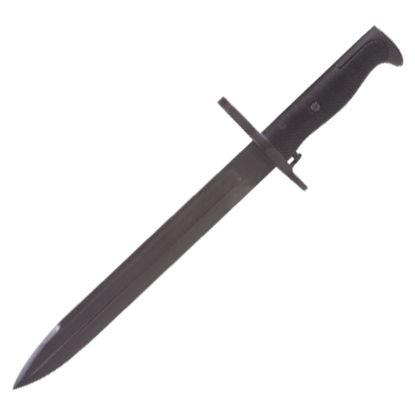 This German Fighters Bayonet Knife echoes the blade that German soldiers once attached to their rifles in the form of a knife for any survivor to wield. 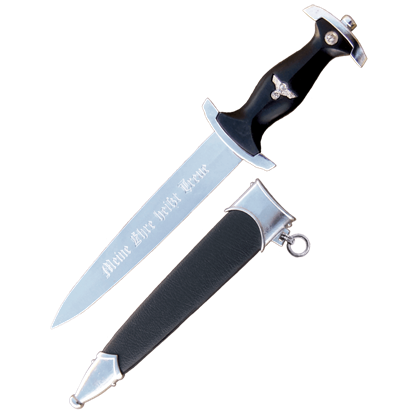 This German SA Dagger is the quintessential symbol of the group whose name it carries. Modeled after a Swiss dagger, this blade was equal parts ceremonial and functional, serving as both weapon and reminder to all who carried it. 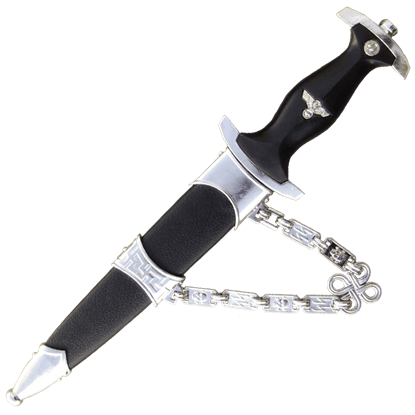 This replica of a German WWII dagger will appeal to WWII military collectors and re-enactors. 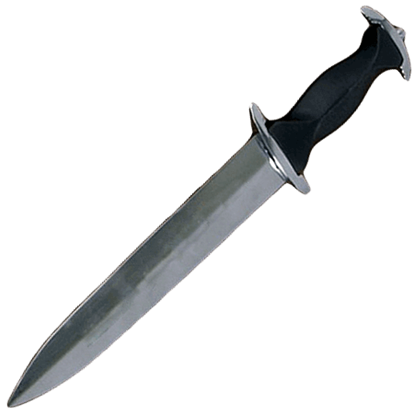 The blade of Denix German SS Dagger is cast from a metal alloy and cannot be sharpened, making it safe for display in family environments.